Macquarie is the university of pioneering minds. Globally recognised as one of Australia’s leading research universities, Macquarie is a place where extraordinary new possibilities come to light. We’ve helped people to hear, introduced wireless internet technology to the world and broken through traditional boundaries by appointing Australia’s first female vice-chancellor.In Macquarie’s Faculty of Science and Engineering you’ll join passionate researchers and educators blazing new trails in the spirit of discovery and exploration. Encouraged to think boldly, and supported by some of Australia’s most outstanding facilities, brilliant minds converge in our Faculty to create incredible new possibilities: the world’s first attempt to synthesize complex life, the creation of Wi-Fi, the discovery of dancing dwarf galaxies, and the development of blue LED light. Inspired by challenge and opportunity, we look forward to welcoming you as we imagine a new future together. 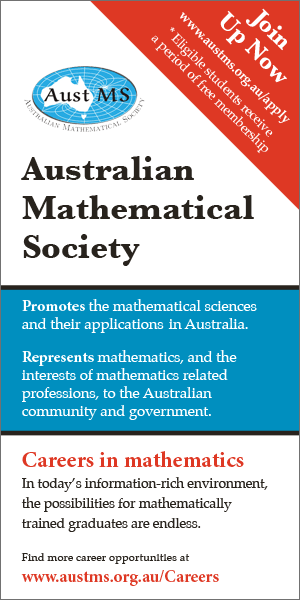 The Department of Mathematics is looking to appoint an outstanding applied mathematician whose research involves mathematical modelling with applications in science, engineering, and the technological and biological sciences. Applicants with research interests in asymptotic analysis, dynamical systems, fluid mechanics, numerical analysis/scientific computing and waves are particular encouraged.